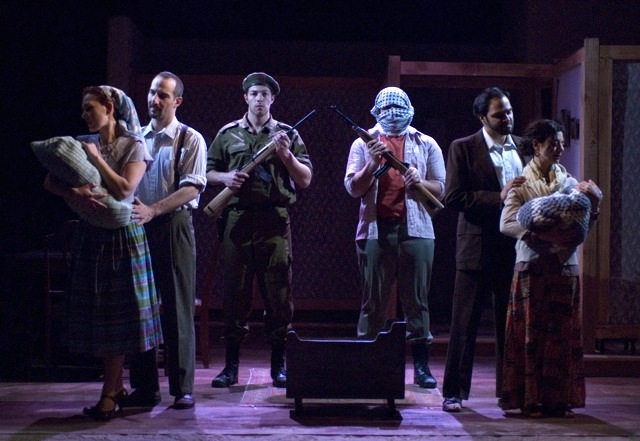 Return to Haifa is a smart and moving new play that follows two couples, one Jewish and one Palestinian during the ugly formation of the Jewish state. M.E.H. Lewis, a Chicago playwright, has created a nicely structured play, balancing the two couples against each other in a simple and effective way. She is credited in director’s note as being “famous as a playwright who does research worthy of a PhD dissertation,” and that is evident in her work – though, at times, it feels too academic. The Jewish & Palestinian husbands (nicely played by Daniel Cantor & Anish Jethmalani , respectively) are named Jacob & Ishmail for the estranged decedents of Abram who fathered Judaism and Islam. Playwright Lewis does not allow Ishmail a single scene in the first act where he does not mention a goat: “He will be so strong he will be able to kick a goat over the ocean” or “He can’t even milk a goat without knocking the bucket over three times.” Do you get it? Palestinians used a lot of goats in the 1940’s. This kind of writing can feel a little bit cold, especially during the first act, where large chunks feel like historical exposition. By the second act, however, all of this research comes together; creating a tension and frustration in the dialogue that would not be possible without the sometimes-alienating moments in Act One. 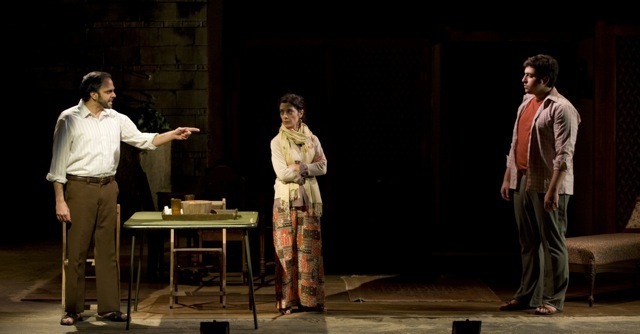 It’s the production’s women that make the play: Diana Simonzadeh as Safiyeh does some of the best on stage aging I have ever seen, both physically and emotionally. She goes from a playful, happy young mother to a wise, angry, regretful old woman without ever losing a bit of integrity or honesty. Her counter part, Saren Nofs-Snyder, gives a truly heartbreaking performance as Sarah, the holocaust survivor. The over-arching themes of Return to Haifa deal with one’s possessions and where you call home. The house that these women both call home at different points of the play is always the most prominent thing on stage, and it’s well designed by Tom Burich. The walls are made of gauzy scrim, giving the inside of the house a nostalgic, dream-like and unattainable feel. 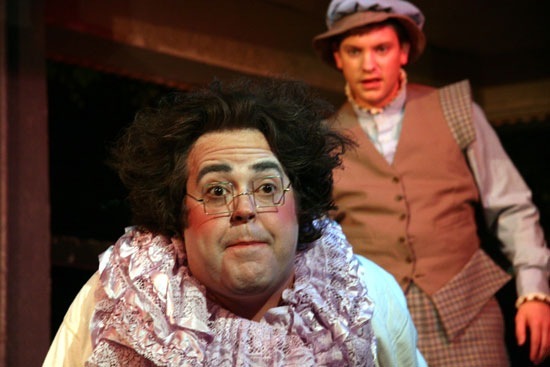 Whenever Jared Moore is involved in lighting design, he seemingly becomes one of the play’s leading roles, as he comments on and advances the story on stage. He is so intuitive and artful about his work. The house is lit mostly in warm ambers, making it look inviting and safe, until it isn’t, and the stage becomes washed out with a nauseous grey blue that actually looks like death. Return to Haifa is a good show, and a good choice for Next Theatre, whose shows often tend to be more traditional. 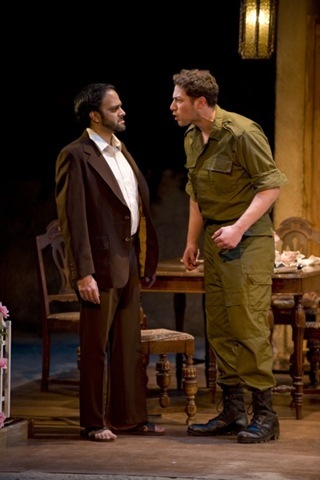 Return to Haifa is not a challenging play, even though the Israeli/Palestinian conflict is a challenging topic. It examines horrible things without any true horror. The result is a nice and moving drama, which focuses more on the emotional than the political. Porchlight Music Theatre celebrates the company’s 15th Anniversary with a Homecoming Benefit & Revue showcasing alumni performers reprising their favorite roles from shows through the company’s fifteen fabulous seasons. 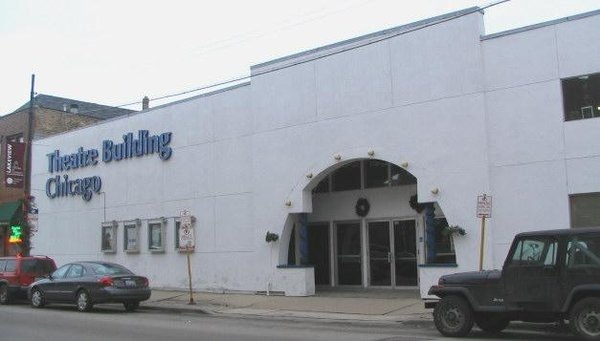 The benefit will take place at Theatre Building Chicago, 1225 West Belmont, on Monday, November 16. The celebration evening will begin at 6pm. as guests mingle over libations and a buffet with alumni performers sharing favorite Porchlight production stories. The anniversary performance begins at 7:30 p.m. as alumni actors will take to the stage reprising their favorite role. Suzanne Getz, who most recently starred in Elegies during the Finn Festival of the tenth anniversary season, will sing a number from William Finn’s A New Brain. 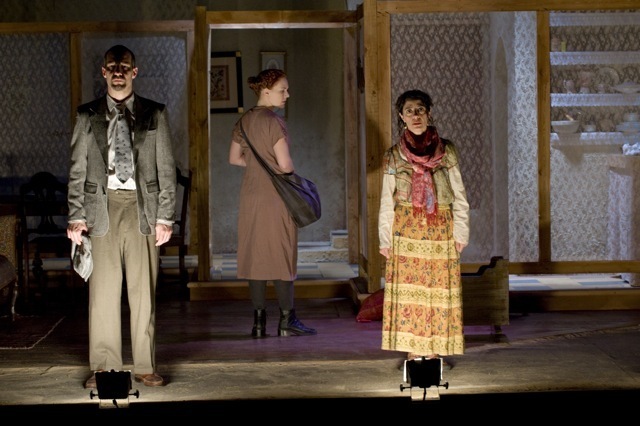 Porchlight presented the Chicago premiere of this show in 2002 and revived it in the Finn Fest of 2005. 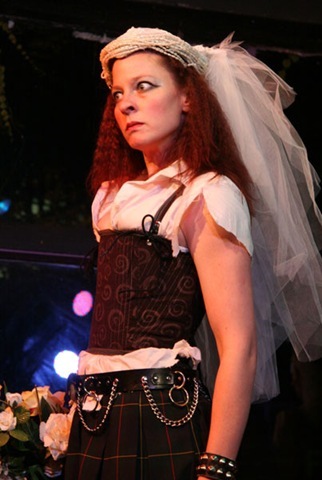 Getz received an After Dark Award for Outstanding Performance for her role in the 2002 production. Heather Townsend who starred in this season’s Macabaret will reprise her show-stopping “My Husband Makes Movies” from Nine: The Musical. 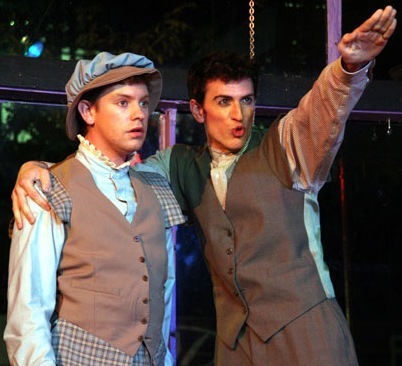 Presented in 2008, Nine earned five Jeff Award nominations including best production and best ensemble. Charissa Armon will sing “Back to Before” from Porchlight’s celebrated and multiple award-winning production of Ragtime. Armon received an After Dark Award for Outstanding Performance and a Jeff Award Nomination for Outstanding Actress in a principal musical role. A host of other Porchlight alums will also take to the stage for this special revue. The benefit will feature an open bar—beer, wine, and soft drinks—along with a buffet catered by Bespoke Cuisine. Guests and alumni will be able to bid on a variety of restaurant, spa, and cultural gift certificates at the benefit’s silent auction. 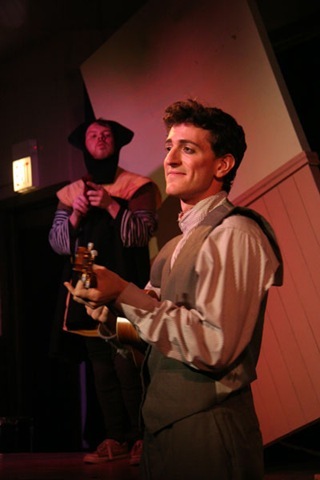 Porchlight Music Theatre will present a Homecoming Benefit & Revue at Theatre Building Chicago, 1225 West Belmont (at Racine), on Monday, November 16. Advance tickets at $40 and $25 (actors’ rate) are currently on sale and can be purchased by calling 773.325.9884 or emailing info@porchlighttheatre.com (leave call back information). Advanced reservations must be made by 5:00 pm, November 14. At door tickets are $50. 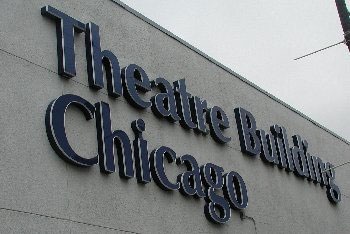 Porchlight is Chicago’s Music Theatre. By uniting the arts of music, drama, dance, and design we transform stories into thrilling, passionate and relevant events, which affect the lives of artists and audiences alike. As professionals and leaders in this field, we nurture and develop new artists and works, expanding and redefining the music theatre genre while matching artistic vision with fiscal responsibility. 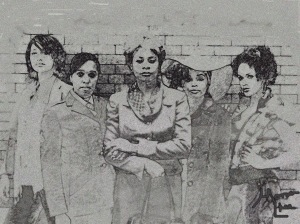 Eclipse Theatre Company returns to Pearl Cleage’s work with A Song for Coretta, after successfully featuring her as a playwright, novelist, and poet throughout their 2007 season. Eclipse’s 2007 production of her first play, Blues for an Alabama Sky, won several Jeff Awards, plus a Ruby Dee Award from the Black Theatre Alliance for the actress TayLar.. (who is presently playing the character of Helen in this production). All the women in A Song for Coretta come to honor and memorialize Coretta Scott King on the rainy evening of her funeral at Ebenezer Baptist Church. But what can they do with Coretta’s memory, or memory of the Black Civil Rights era, in the face of the dire challenges that eviscerate their community today? Cleage strives to regenerate the meaningfulness of that memory in the presence of generational divisions, between those for whom the Civil Rights struggle is still within living memory and those for whom it either lives only as a stirring image of African American unity, or does not live at all, since its limited benefits are no match against today’s corrosive injustices. TayLar is pitch-perfect as the stalwart, churchgoing Helen, the only mourner present who has actually met Coretta Scott King; Niccole Thurman’s Zora conveys an earnest college student, covering the funeral for NPR, who is completely unconscious of her own naïveté; Kelly Owens’ Mona Lisa, a resourceful, bohemian Katrina survivor, embodies the kind of soulfulness that truly suggests magic; Kristy Johnson’s Keisha is by turns fiery, obstinate, arrogant, and vulnerably lost; Ebony Wimb’s Gwen comes across as stiff, even for an Iraq War veteran, yet she maintains the power to convey Gwen’s trauma simply with her eyes. No one can deny the gifts or intentionality of the cast. Still, there is only so much that talent and stagecraft can bring to an incomplete work. The trouble is that they are trying to do so much with so little—an interesting situation, since it stands in direct relation to the dilemmas faced by the characters. As badly as we need a play like this, Cleage may be trying to pack too much into one act. The result is a severely abridged overview of the African American generation gap, plus gangsta culture, plus Katrina, plus the Iraq war. Sadly, this gives the play a “movie of the week” quality. Characters are introduced as emblems of issues, not in-depth characters in their own right, so the conflicts between them are superficially addressed, as are the issues they are supposed to represent. There are humorous as well as riveting moments, but nothing that comes close to the knowing wit and complex insight with which Cleage has regaled readers and audiences in the past. 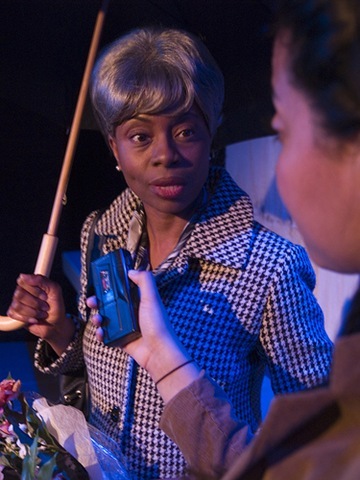 Part of the problem lies in how the Black Civil Rights era is remembered in the play. Much as we may love Helen–with her church lady demeanor, her tailored dress, her tightly coiffed helmet of gray hair, and her outrage over the current generation’s insolent sloppiness, ignorance, and apathy–her representation of that era belies all the dangers of perceiving it through rose-colored glasses. If Helen was a child during the Montgomery bus boycott, then surely she grew into adulthood during the 60s and 70s, during the rise of the Black Power movement, the assassinations of Dr. King, Malcolm X, JFK, and Robert Kennedy; during the equally devastating crisis of the Vietnam War. There is nothing halcyon about Helen’s past and therefore no real reason to have her only portray that past beatifically to Zora. Likewise, Keisha’s role in the play is also troublesome. She is supposed to be emblematic of the unrealized promise of the struggle for civil rights. While war metaphors are linked, and rather stiltedly, through an exchange between Mona Lisa and Gwen over Katrina and Iraq, there is hardly any acknowledgement in the play of the gang war conditions that have ravished Keisha’s life of education, opportunity, or a sense of history. A few of her lines just barely suggest it: “Old people are always talking about somebody died for us. Well people die all the time nowadays, in case you hadn’t noticed, and it don’t even matter what for—they still just as dead.” This is why her decision to forego abortion is no more comforting than the song–“This Little Light of Mine”–the women sing together at the end. Both seem like band-aids on interminable problems. One can only hope that A Song for Coretta is an embryo for future work. We sorely need playwrights like Pearl Cleage, who will question the value of freedom, especially if it only means being free to carry out the state’s imperialistic adventures. Indeed, as there are outlier studies which show that schools are more racially segregated now than during Jim Crow, then in the year 2009, in every way that truly matters, we may be back to square one.